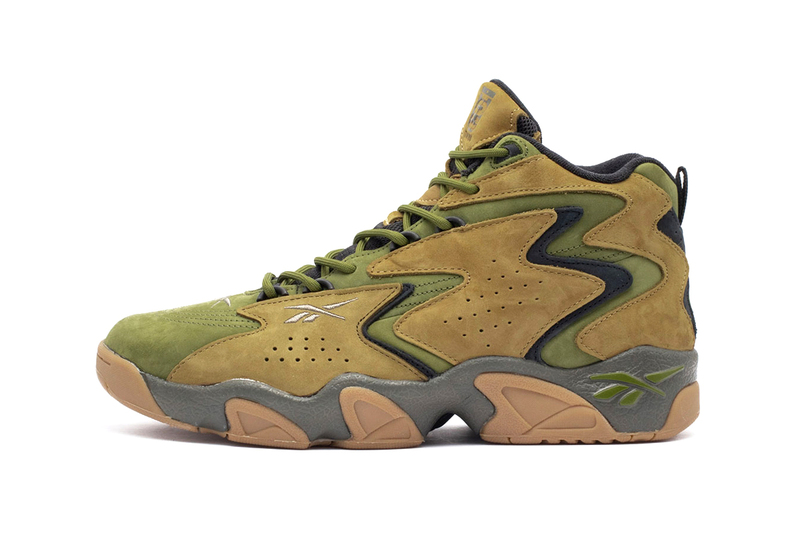 Continuing its focus on its ’90s silhouettes, Reebok recently teamed up with atmos to give the Fly Mobius a military-inspired makeover. The collaboration is centered around a premium suede construction expressing the dynamic lines of the shoe with green and khaki tones. Branding comes in the form of Reebok logos around the toe and militaristic atmos motifs debossed on the tongue and heel. Elevating the shoe are chunky grey midsoles and gum rubber outsoles. Priced at €150 EUR (approximately $170 USD), the atmos x Reebok Fly Mobius is set to release April 1 at select retailers like 43einhalb. In case you missed it, Vetements went full sportswear with its Reebok Spike Runner 200 Sneakers.